This design came from the book Beadweaving Brilliance by Kumiko Mizuno. I have talked about this book before; it teachings off-loom beading techniques. I used the book to learn netting and closely followed the design. The beads needed are two colours of seed beads, bugle beads and faceted beads. Make sure that they all colour code. 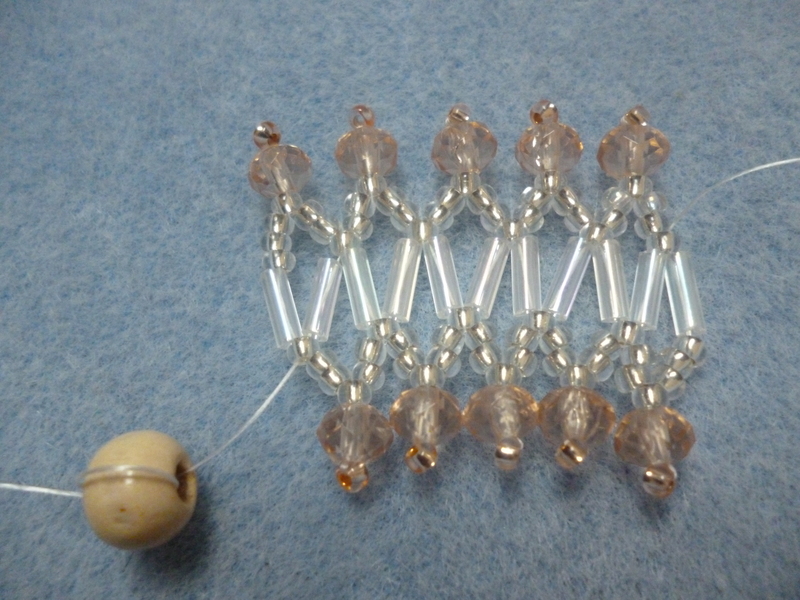 The netting process is quite easy; you form regular intervals of beads with interlocking sections. 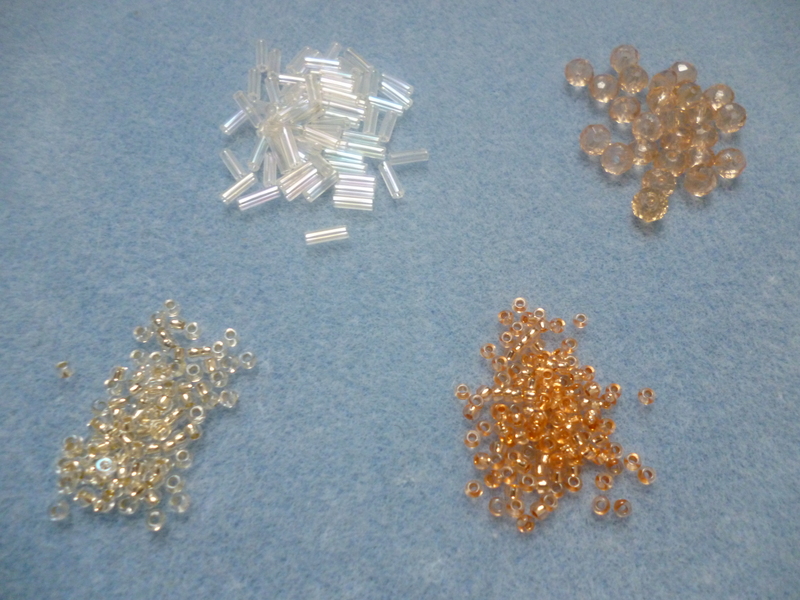 Basic netting uses only two types of beads, but you can vary it by adding beads of other colours and sizes. 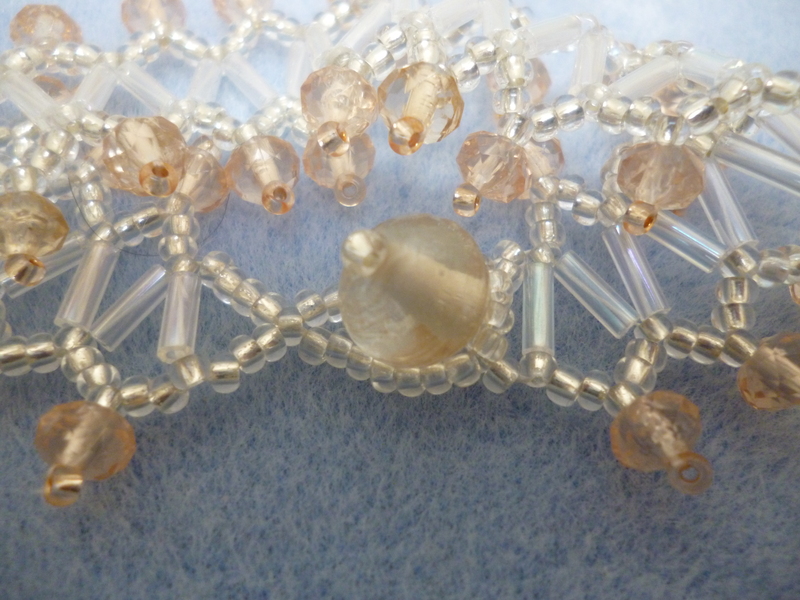 In this design, the faceted beads decorate each section. In keeping with the theme, the clasp and fastener are made out of beads as well. The clasp is a large bead threaded onto one end of the bracelet, and the fastener is made out of a loop of matching seed beads. I don’t make bracelets that often, so it was a bit difficult to take a nice image. Maybe I could consider buying a wrist stand or some opaque bottle. Anyway, I’m working through my stash of seed beads right now, so expect more beading projects to come, with some of them hopefully being original designs! 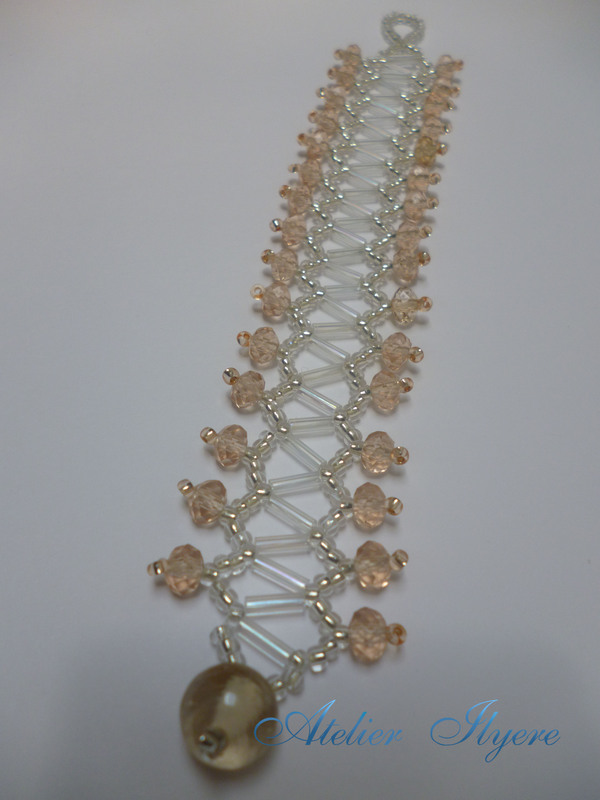 This entry was posted in Beads, Bracelets, Jewellery, Thread and tagged Beading, Beadweaving Brilliance, Bracelet, Bronze, Clear, Jewellery, Kumiki Mizuno, White. Bookmark the permalink.